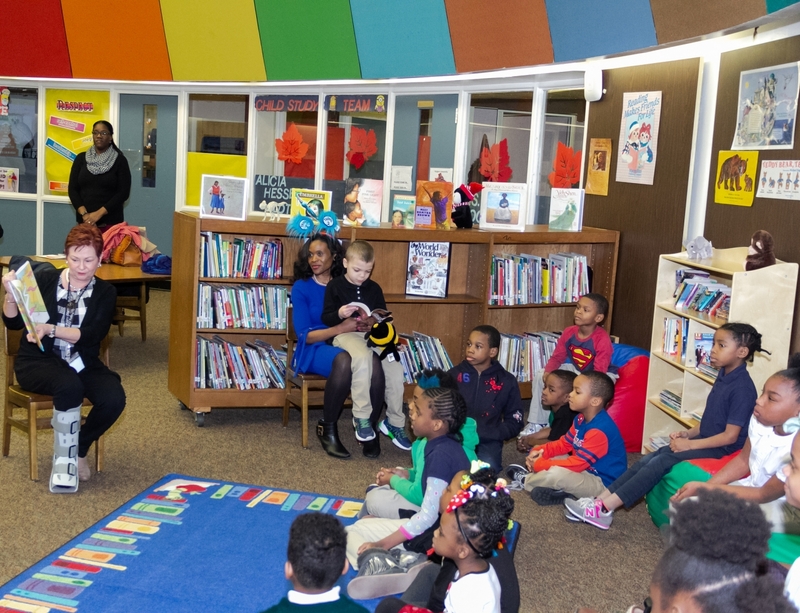 Sandy Capell, Manager of Corporate Responsibility and Philanthropy, Subaru of America, Inc. (left), reads Dr. Seuss’ Oh The Places You’ll Go to Forest Hill Elementary School students during ribbon cutting celebration for new reading oasis on March 5, 2019. Installed in partnership with United Way of Greater Philadelphia and Southern New Jersey and the Camden City School District, the reading oasis provides the school with 400+ new books in an inviting, comfortable space for students to enjoy. Staff and volunteers from United Way of Greater Philadelphia and Southern New Jersey, Subaru, Forest Hill Elementary School and Camden County Police joined Forest Hill students at a ribbon cutting on March 5, 2019, to celebrate a new reading oasis and addition of more than 400 new books to the school’s library. 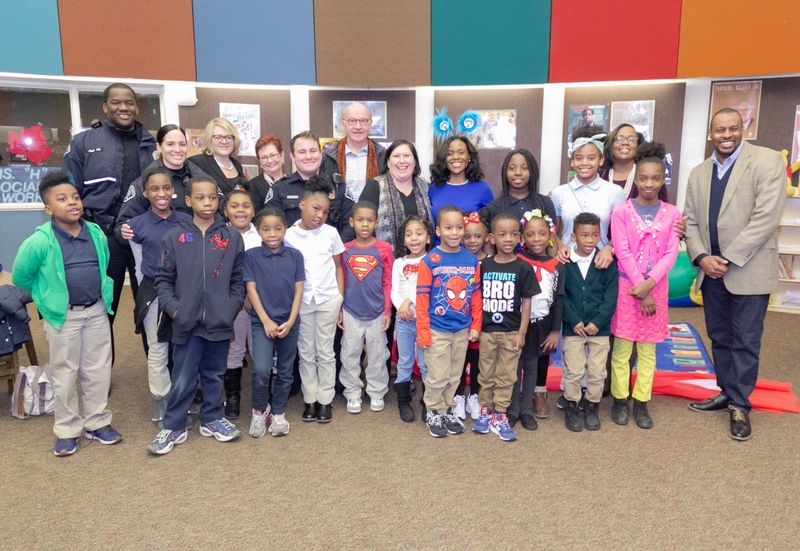 The reading oasis, which was installed by Subaru volunteers in partnership with United Way, was unveiled as part of United Way’s Read Across America Week celebration.